Stuff your doll firmly. Sew the soles onto your dolls feet. 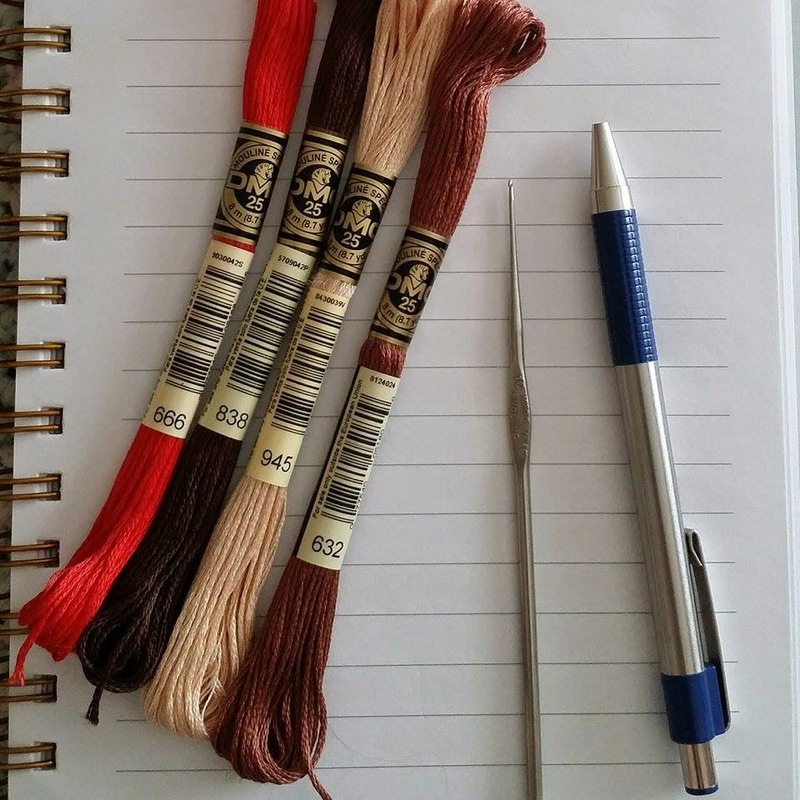 Embroider the symbol onto your patch, and sew the patch onto your doll. You can also use a bit of hot glue to attach the patch. Sew the arms and ears onto your doll. Sew on hair and eyebrows. Then I tied little knots to make the eyes. And sew on a mouth. 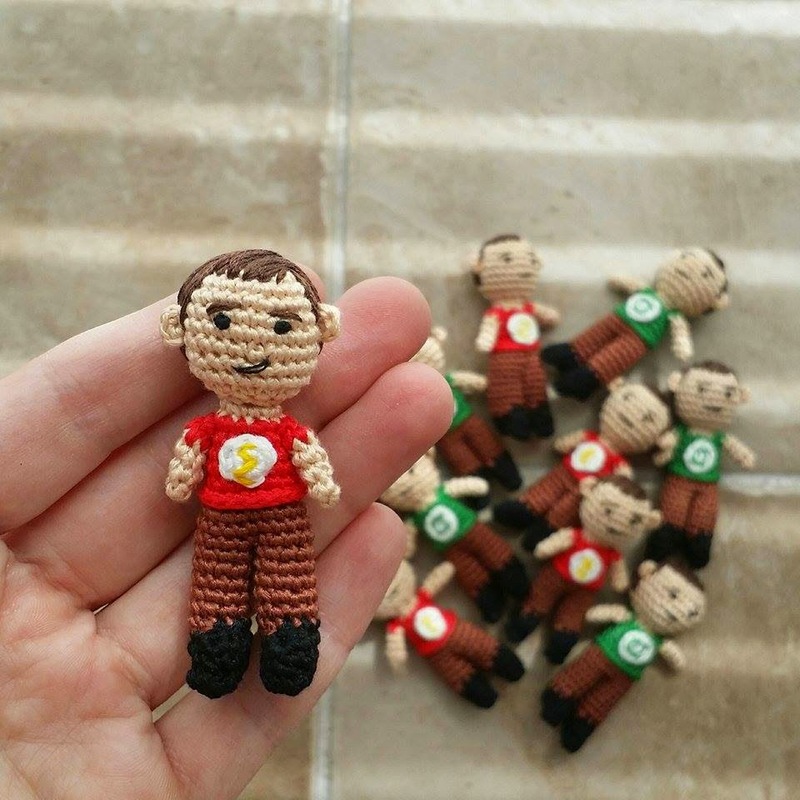 And that's it you're done, now you have your own micro Sheldon! Oh, this is so great! Thank you so much for sharing the pattern. I'll definitely make one for a friend of mine who's doing his PhD in Physics in June. So this is my little Sheldon..
Is there any plans to release an Amy pattern or the rest of the Big Bang gang? 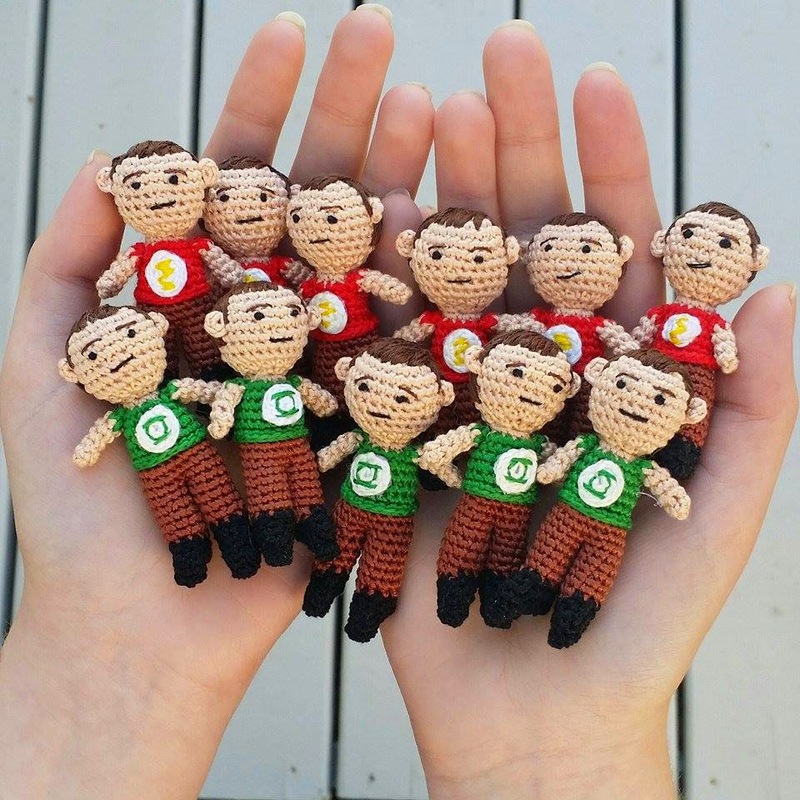 At this moment no, I will only be sharing the Sheldon Pattern. 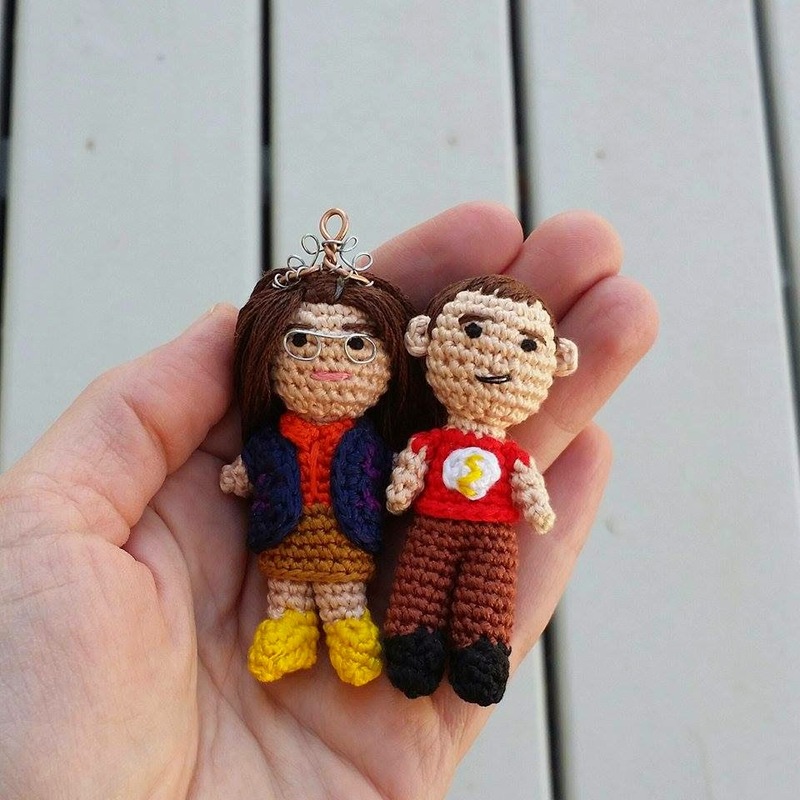 But if I make the other cast members in the future in tiny form, I will share the patterns.